Jensen Moving & Storage takes pride in being the Treasure Coast’s leading moving company for over 40 years. However, in addition to serving as the Treasure Coast’s premier local moving company, we also offer our moving services on an interstate basis. One truck - One customer ! No Hidden Fees! Believe us, our competitors will be very creative to find hidden fees for many things. Not with us! Jensen Moving & Storage offers you only one fixed price and nothing more, that’s it! Ship your items before you settle! Some homeowners relocate to Florida but do not have a home yet. We offer two solutions for this. 1. We can either pick up your belongings and store them until you are ready for delivery; 2. If you ship with a national van line we are happy to receive your valuables in our storage. Once you find a home, we can deliver your items to your new home. Although based with our office in Jensen Beach, Florida, we dispatch our trucks out and do moves to 48 other states. Currently we have an average of about three trucks out doing interstate moves at any given time and we are continuing to expand! Although our interstate moving service primarily consists of our picking up valuables within the state of Florida and hauling out to another state for drop off, it is possible for us to send out a truck that we may have in a given area outside of Florida (i.e. like moves from New England to Florida, for example where we have a truck out virtually every week) to load up and then drop off down in the Sunshine State. 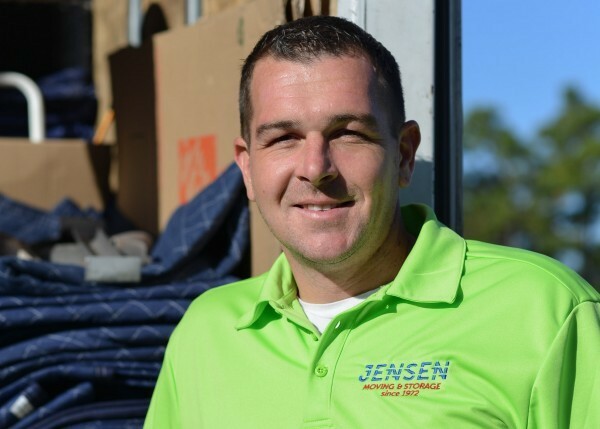 Whenever moving from Florida to out-of-state it is advisable to have a representative come out and conduct an on-site estimate for which Jensen Moving & Storage offers at no additional charge. Further, we only charge a one-time pre-determined fixed flat fee for doing interstate moves so you know what you are paying upfront—NO HIDDEN FEES!! We don’t charge anything extra for weight, mileage, driving time, etc. If you’re planning on doing an interstate move whether from or to Florida (or any other state) give us a call (772) 334-5787 today and let us help you with you’re options!
" I would DEFINITELY hire Jensen Moving & Storage again"